What you need to know when you try our food is that Serbian cuisine is a mixture of several cultures. Serbian cuisine for sure is one of a kind: our traditional cuisine is fusion, among of all the others, mostly of Austrian, Hungarian and Turkish dishes combined in one. During the long history, Serbia was on the crossroads, and many big nations gave their influence during the centuries, which made our cuisine unique. One thing we are sure about, is that tourists are amused about our meals. Lets start with the best restaurants in town. Two areas are the main when it comes to great food: Beton hall and Skadarska street. 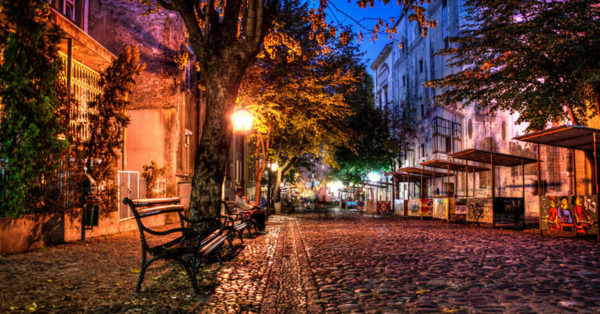 Either that it’s lunch or dinner, Skadarlija is a bohemian street where you will get to feel real Serbian spirit. The street offers Kafanas – old Serbian pubs with traditional Serbian food and drinks. While you are trying some new food you will be able to enjoy in music played live by ‘Serbian Mariachi’. If you are here, we suggest one of the most popular restaurants with traditional Serbian dishes – Tri Sesira. Beton hall is totally opposite to Skadarlija. It is a modern and hip place to be, with a little bit different cuisine than traditional. We suggest Ambar – Balkan food with a modern twist. You will be surprised! You got the idea that Serbian dishes are all about meat. Well yes, you are totally right. But with increase of interest in vegan and vegetarian way of life, there are several great restaurants who managed to fulfill the needs. The best ones you can find here. We suggest restaurant Radost – is the first of its kind in Belgrade, which will love all the fans of healthy food. This is the place where you can not just try something new and original, but where and when you it too much- will not feel remorse. This s a great place for people who appreciate vegetarian diet. If you don’t have time for seating, waiting and slowly enjoying your food, there is also a solution for that as well! Our fast food stands are almost at the every corner of the city, and is a delicious as any posh restaurant! And if you are into preparing meals by yourself, we have it covered! Green markets in Belgrade and Serbia are really great choice for several reasons. First of all, meat, vegetables and fruit are GMO free. They are grown on private households in villages, by a small producer. The food is always fresh, tasty and full of flavor. Also, if you are buying from small producers, you are helping local economy directly. The beauty of buying on green markets is that you try food before purchase. If your accommodation is in center of Belgrade, than Bajloni market is near you. 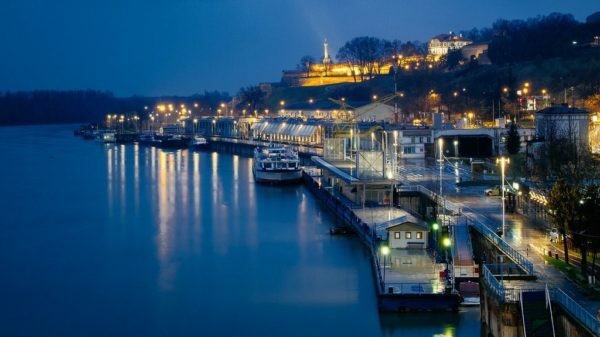 It is one of the most popular and biggest green markets in Belgrade. Located downtown, in Skadarska Street, you’re absolutely spoiled for choice here and can find everything and anything among the stalls. Visiting Bajloni pijaca to purchase fruits, vegetables and cheeses is the best way to start the morning. There are a couple of great cafes close by where you can stop by for an early morning espresso! This is great way to try some of the top 10 Serbian foods. OK, you got the place where to buy ingredients, but you don’t know how to prepare something traditional Serbian. Earlier in the blog we gave a detailed instruction for how to make cevapi (one of the most popular Serbian dishes), and today we are going to give you another, not difficult and quick idea! This is a Balkan dish made of corn flour, baking powder, sunflower oil, sparkling water and salt. Proja is a specialty that few can resist. Mix eggs, yogurt and oil in big bowl. In another bowl, mix flour, corn grits, baking powder and salt. Combine dry and wet ingredients and finally add cheese. Bake 30-35 minutes at 480°F (250°C). Enjoy Belgrade and in our food. 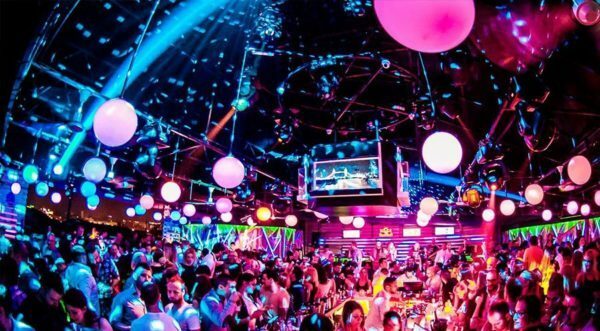 Don’t forget, whats app us any time for an info about Belgrade and especially for the famous Belgrade Nightlife.